Maurizio Sarri has been appointed Antonio Conte's successor. I give him until Christmas. I don't know why it's taken them so long to sort this out. I think he'll do well unfortunately. If he brings that Napoli style to the players at his disposal, they could be very good. cnuts. As usual. Two seasons. One good, one bad, and a sack. I give him exactly two seasons. It's all chronologically proper. The official Sarri thread was posted a minute before. Every time I think Chelsea have literally run out of managers to hire, they always find another one from somewhere. There's going to be an almighty clash of ego's at some point this year. Sometime he's gonna tell Marina "You are pretty, so I won't tell you to feck off" and get sacked. 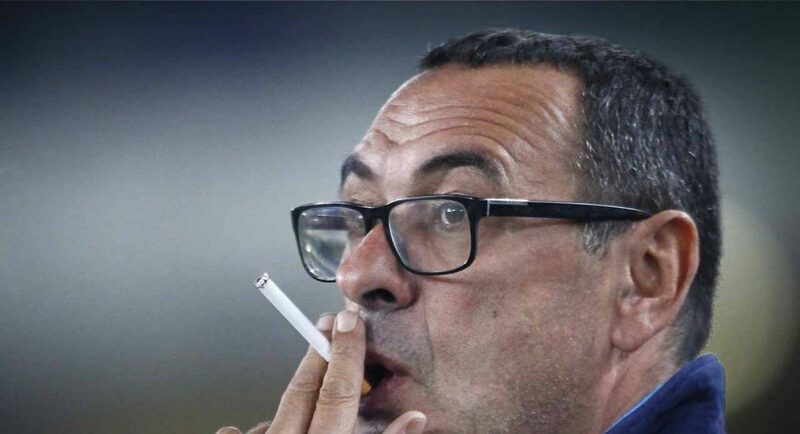 Hopefully Sarriball or whatever the term is will die after this game. Zidane should go to Chelsea. It will be a great environment to test his managerial capabilities as their team is no where close to what he inherited at Madrid. Should never have made a dig to his players. We all know it'll end one way. Hold off for a bit, Roman, don't want a 'new manager bounce' for the FA Cup game on top of the Stamford Bridge curse. Every manager has their plan and ideas but surely first and foremost at a club you have to adapt to what you have and build your version over years?! What they had got them 5th last season. Guess we now know why he's at his 60 and no big club ever thought of appointing him. The Chelsea boom-bust cycle has peaked early. I fought my team and my team won, I thought my team and my team won. One day I'll understand the angst against this. Awful manager, long may he continue. Hey I liked Van Gaal - just going off the general Caf opinion on the matter. He hasn't got a single pot to his name. And he expects the club, who sacked Ancelotti for finishing second after winning the double, would be patient and give him finances to buy players to "fit" his system. Hometown club, good squad, nearly won the title last year. Why did he leave Napoli? Deserves the sack for playing fecking Barkley.